I started 2017 with this idea of being more creative and bold on my decisions. Changing everything and being out of the ordinary. A part of that idea is changing my apartment. I live on a 30m2 place, which doesn’t give me much space for changes if it isn’t for colors or the usual furniture replacement, but most of my ideas would cost me more than I can spend right now. 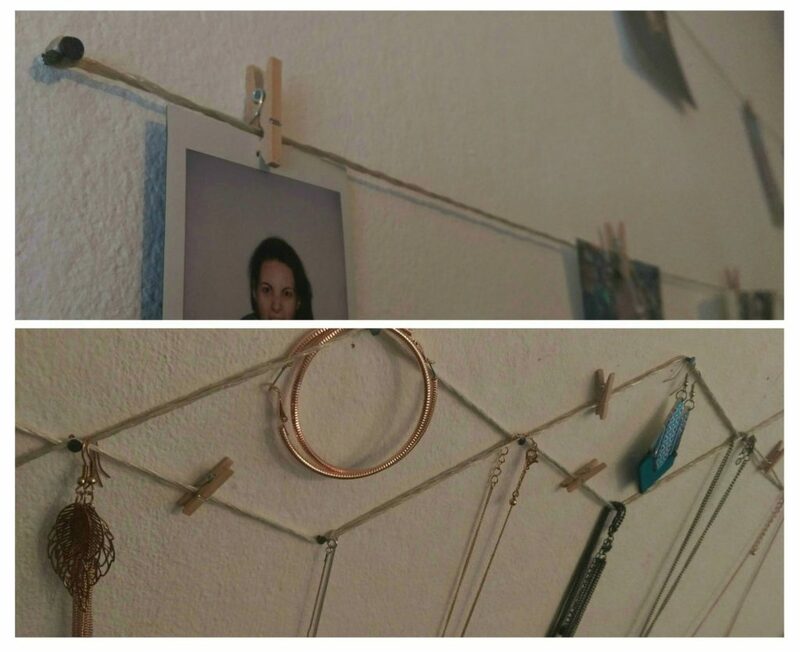 So, I decided to spend around 3 EUR and make myself two easy and simple DIYs and I will show you exactly how, below. I have been living far from home and family for a while, so pictures are a way I have of minimizing how much I miss them, plus I also love to take pictures of nice moments with the people I love, but they mostly stay online. But this year will be different! They are coming out of the camera and into my wall in an awesome picture hanger and I will show you how to do it! As for my jewelry, well, I have some and really no practical place I can put them, as I use most of it everyday. Hanging them on the wall, below my mirror seemed like a good idea. 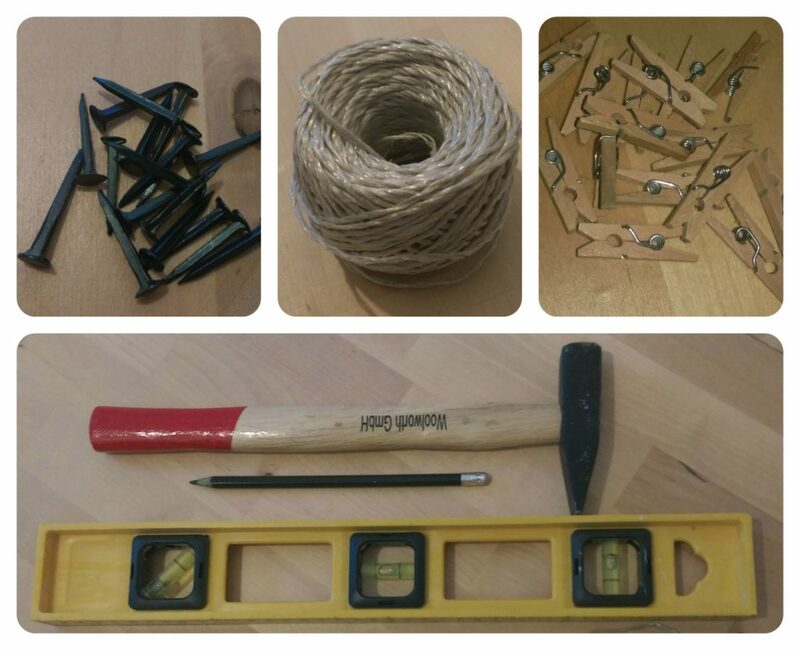 Here is everything you need for this DIY! This is simple! First you level and mark your wall with the pencil. The next step is to nail the wall, but remember to leave some space for the cord. Then you attach the cord to the nails and do your art. Here is where you get to be creative! I did the one for the pictures simple with horizontal lines and for the jewelry I crossed it so it would be cuter. Close ups from my first DIYs ever! I also burned the end of the cord with a lighter just so it would In the second one I didn’t even need the mini wood clips, but for the pictures it looks cute as hell! This was so fast and so much fun to do. 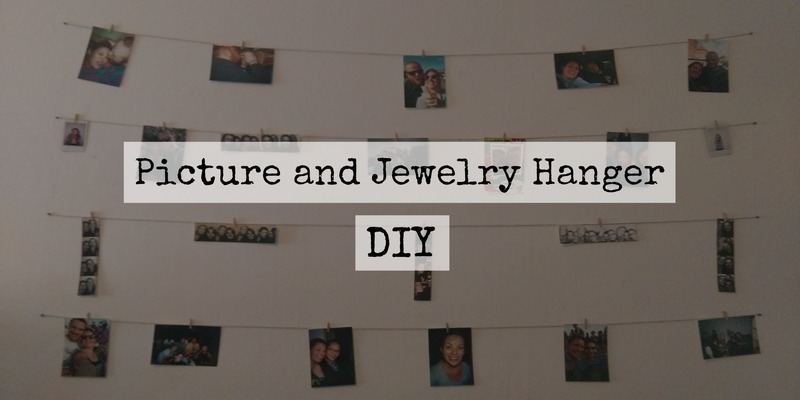 It looks awesome and I am really proud, so let me know what you guys think and if you like DIYs! Minha cunhada fez um parecido e colocou fotos da família para decorar a festa do casa. casamento​.